Join us for our coverage of the 2017 NBA Draft. The Philadelphia 76ers will select first for the second straight year. Through the NBA Draft Lottery, the 76ers were awarded the third pick, the Los Angeles Lakers had the second and the Boston Celtics possessed the first pick overall due to a previous trade with the Brooklyn Nets. The 76ers and Celtics swapped their picks (as well as some additional pieces). The Phoenix Suns will pick fourth. This will be the first time in NBA history that the draft order through the first four selections will be identical in back-to-back years. The Portland Trail Blazers a have three selections in the first round. They will pick 15th, 20th and 26. The 15th pick is their own based on how teams finished by regular season record last season. They obtained the 20th pick via the trade which brought that pick and center Jusuf Nurkic in exchange for forward/center Mason Plumlee. The selection originally belonged to the Memphis Grizzlies. The Blazers acquired the 26th pick via a pair of trades with the Cleveland Cavaliers. Portland does not have a selection in the second round, as they traded to the Houston Rockets in the deal which brought power forward Thomas Robinson to the Blazers in the summer of 2013. The draft will be held Thursday, June 22 at the Barclays Center in Brooklyn, New York. It will begin at 4 p.m. (pacific time) and will be covered on ESPN nationally. The following is the full 2017 NBA draft order Note that players "Trade pending to ..." are parts of trades which are proposed, but have yet to be officially approved by the NBA. The results will be updated as selections are made. 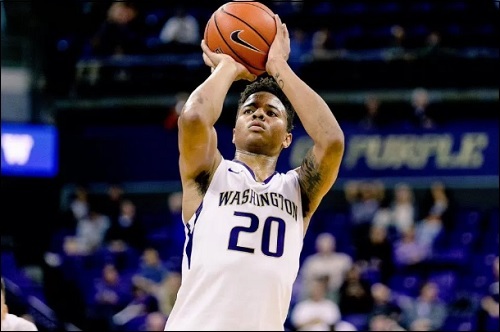 The 76ers selected Markelle Fultz of Washington with the first overall pick. The Trail Blazers traded the 15th and 20th picks to the Kings for Gonzaga PF Zach Collins, the 10th pick. I'll be following as soon as I get home from work! should be there interesting to see what the Blazers do. 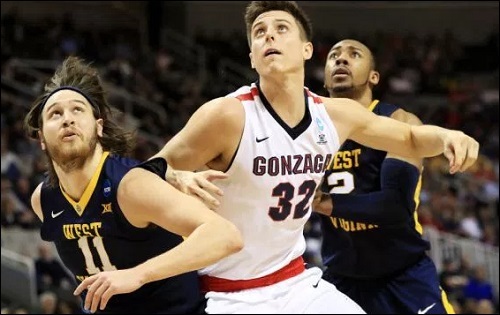 The 10th pick of Zach Collins has been traded to the Blazers for picks 15 and 20. Trade still pending. I like the pick of Collins. I think he needs to bulk up somewhat to compete at the NBA level. He could be a solid sixth man to begin his career. In a year or two, who knows. The Grizzlies have acquired the 35th pick from the Magic, per The Vertical. Caleb Swanigan - Ed Davis type of guy. Good bulk. Big-10 Player of the Year last season. Lakers 28th pick proposed to be traded for Jazz's 30th and 42nd picks. Orlando's selection of 25th pick Anzejas Pasecniks proposed to be traded to 76ers for future draft picks. Also official is the Nuggets-Jazz trade involving the 13th and 24th picks. Congrats to Ivan Rabb of Cal drafted by Orlando, but going to Memphis! I knew we'd here from you on that one! Congratulations to the Cal guy! Hartenstein has an interesting story. Native Oregonian, played ball in Germany, drafted by Houston. Interesting that the three Ducks players went within eight picks in the second round. Two of them were traded after they were picked. Our draft recaps are completed for the night. I will update any trade information as it becomes available. thanks for those who responded and even took a look! I think the Blazers did well. The only other option would have been to package all three picks for a superstar Like Kristaps, but the Knicks reportedly would have still wanted more. Zach Collins is solid. He came off the bench for Gonzaga, but played starters minutes. Foul prone, but if the Blazers want to maintain depth up front, which I anticipate they do, this could be a nice pick. Which, of course means, they did that with the 26th pick of Caleb Swanigan. 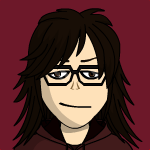 I tweeted this from the SCtoC official site, but he is an offensive-minded version of Ed Davis. These two players pretty much play the same position, but in different ways. With Nurkic in there, and the possibility of going small, I think this could be a nice combo. Depending on the fates of Meyers Leonard and Noah Vonleh in Portland, both guys could get a major opportunity with the Blazers this season. In fact, I expect them to both get some major run alongside Nurkic. The Blazers traded up for Collins, so there will be a lot of pressure there. Optimistically speaking, the last pick at #10 they took was CJ McCollum. Terry Stotts is going to have to teach and incorporate these players into significant roles. If he cannot, then his job is on the line if it does not happen in the next two years. Olshey's tenure probably has one year left, unless these players -- and players gained in other potential moves. If the Blazers do not win more than 46 games next season, Olshey is gone and a new GM will be overseeing the 2018 draft.